That it's normal price now. Coupon? Smart Plug Mini - $25.50 with coupon. Smart Plug - $19.50 with coupon. Good day Mr Josh while you are surfing for great deals can you please post if you happen to run into any for us poor souls north of your boarder. stop teasing, haha. Thanks. Thanks for the great and thorough review. Really helpful. LIKE IT! 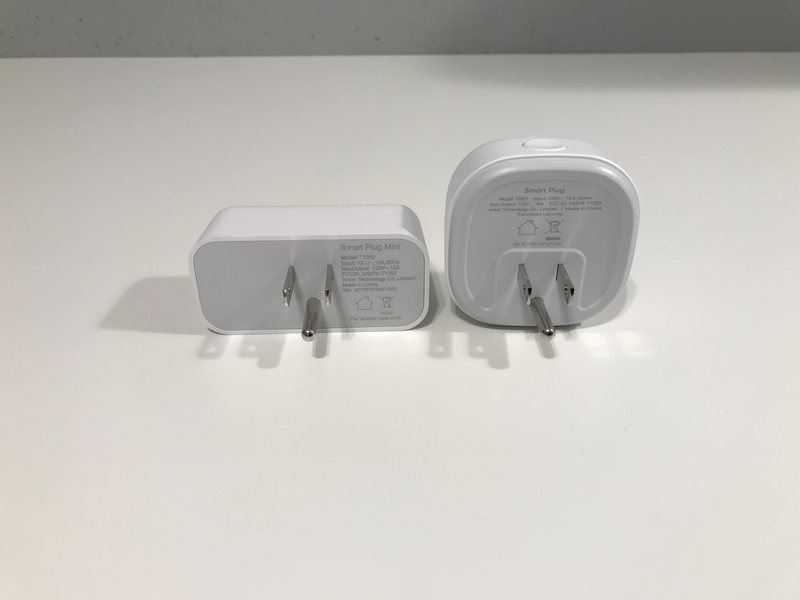 For anyone considering which to buy the pins stick on the non-mini at the bottom so if you only want one of these you can use on the upper of a dual wall socket and it clears the lower one, so you'd only need the mini if you wanted two stacked. Therefore it makes sense for Eufy to sell the mini as a two-pack with less packaging a bit of discount. One thing I would really like to see is timer compatibility with the voice assistants. So you can say "Alexa/Hey Google, turn off dehumidifier in 10 minutes"
Show us side by side rear shot on pins alignment? I own two of the non-mini and really like them I use the timed on, timed off and timer off every day. Camera angle. Is the non-mini pins actually lower? so actually the non-mini has better clearance below? So really if you only need 1 then the non-mini on the upper socket works fine. So the mini makes sense when there's 2 of them so sell as a 2-pack. Correction: The MINI is a couple mm lower, not the regular. Sorry, I misread. Recently got to test out the Smart Plug Mini. Didn't really know the difference between non mini and mini. Probably the shape of it which makes a big difference when placing it on surge protectors. Although the mini is a bit slimmer, it's still a bit hard to place another plug right under or on top of it. Unless you have a surge protector that is a bit more spaced out than mine, you can't utilize all the outlets. I placed the mini closest to the surge protector switch and had to leave the outlet under it unused. I was always interested in Smart Plugs but was intimated by the hub systems. I'm so glad that Eufy makes it easy to get their smart plug mini set up and in return making my life that much more simple. You download the Eufy Home app and create an account if you haven't already. 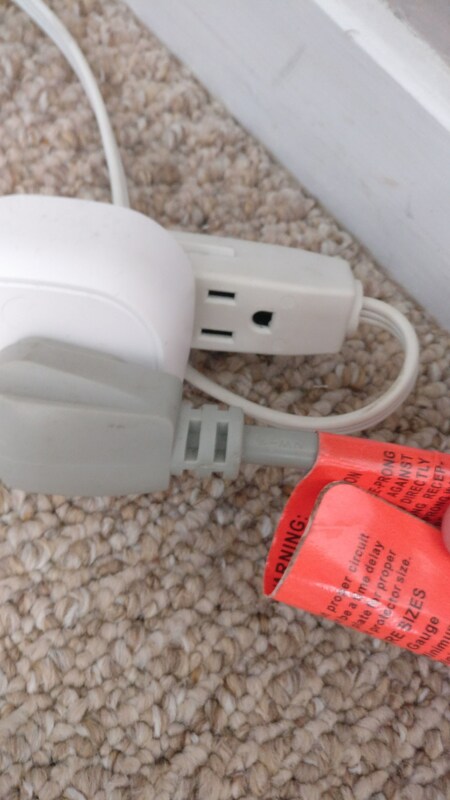 It holds your hand through the process of connecting your smart plug mini to the wifi and was quick to get it running. Love how you can create a schedule, set a timer and see how much power you're using. I love the timer part of it. I use it for a desk lamp in my bedroom. I'm usually already in bed when the lamp is still on and love that I can say Hey Google turn my lamp off while laying in bed. Although the box advertises Amazon Alexa, it connected easily through the Google Home app to utilize Google Assistant. Very similar to the non mini. Thanks for sharing your experience! We will keep improving the product quality. Nice review, thanks. It seems like it's pretty much exactly the same as all other smart plugs on the market, though. Can you post a picture of the plug in the outlet? The smart plugs I have block the second outlet, which is annoying. These claim to be compact enough that they don't do that so I'd like to see them IRL. Also, would be nice if these come in multi-packs, like a set of 2, 4 or 6, at a discount. For the same price as one of these, there are cheaper plugs on the market that come in packs of 2 that costs the same as one of these. For what I use my two SmartPlugs for, its not an issue. Why this one over others? I have these now for 2 months, they still are working flawlessly. If you prefer the Mini for plug placement, there is now the mini version. Where are you finding this price? Thanks in advance.